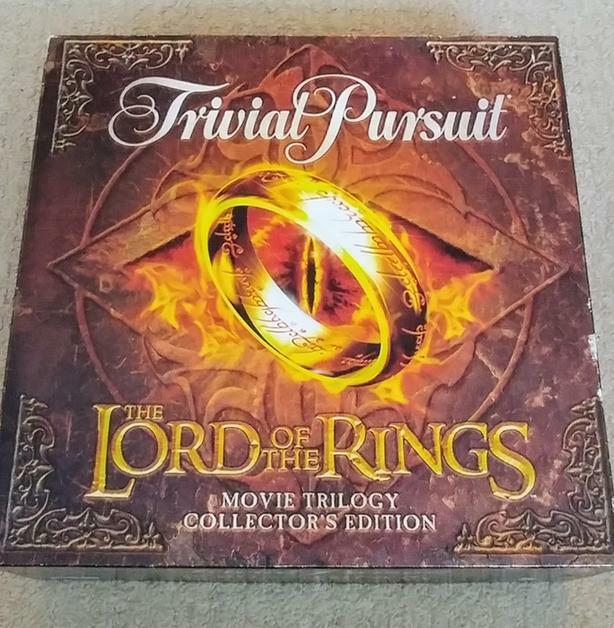 Trivial Pursuit Lord of the Rings movie trilogy collector's edition. Used. A single original piece not included, The Ring token, but has been replaced with a similar Ring token from a different LOTR game.